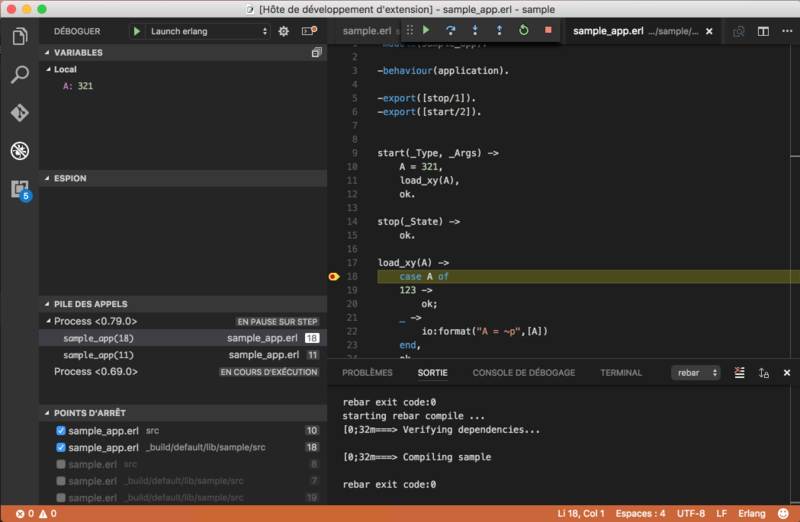 Visual Studio Code>Programming Languages>erlangNew to Visual Studio Code? Get it now. 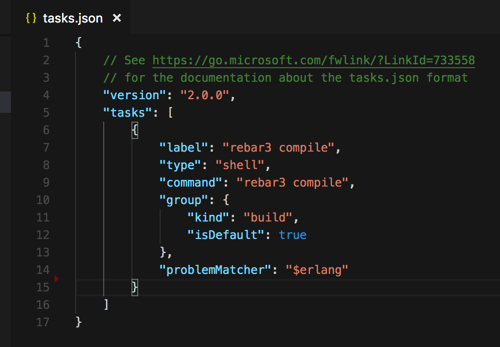 This extension adds support for the Erlang language to Visual Studio Code, including editing, building and debugging. Standard rebar3 is the default build tool, also rebar is supported. The rebar.config file should be placed in the root directory. You can provide a specific command line to 'erl' in launch.json configuration file in "arguments" entry. 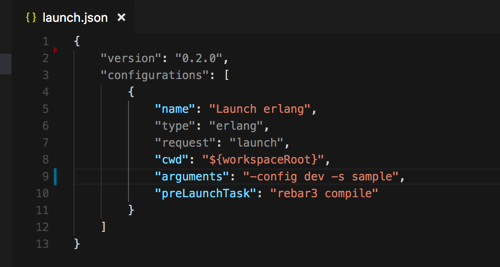 Add to launch.json file the entry "preLaunchTask": "rebar3 compile"
This will create tasks.json for you. Change both label and command to "rebar3 compile". Then, before debugging is started, modified files will be recompiled automatically.